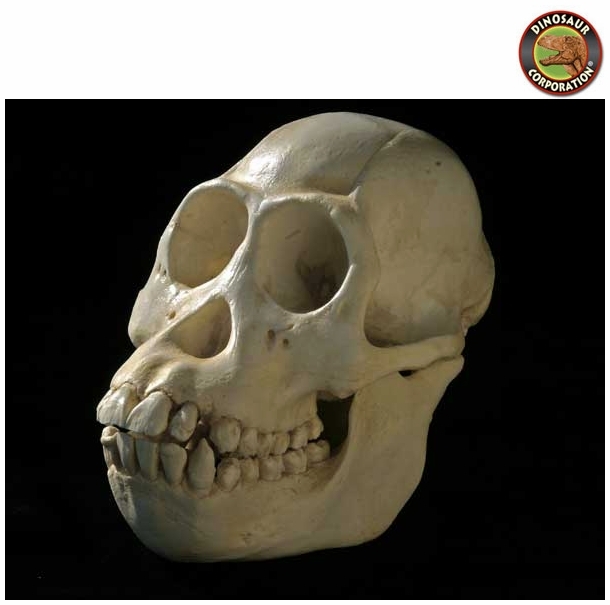 Borneo Orangutan Skull. Female. Pongo pygmaeus. California Academy of Sciences Specimen. Bornean Orangutan, Pongo pygmaeus, is a species of orangutan native to the island of Borneo. Together with the Sumatran orangutan, it belongs to the only genus of great apes native to Asia.